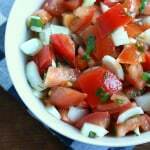 This is a fresh and vibrantly flavorful Summer tomato salad that is typical of the ones I know and love from Germany. 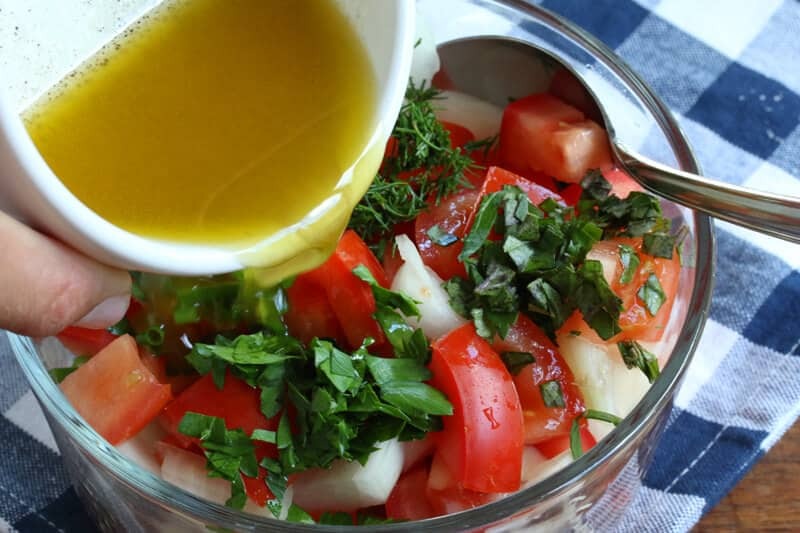 Simple, quick and as easy as 1, 2, 3, all you have to do is cut up the tomatoes, onions, and herbs, prepare the vinaigrette, and pour the vinaigrette over the salad. And even if you’re not a huge tomato fan, you may just change your mind once you’ve tried this salad! 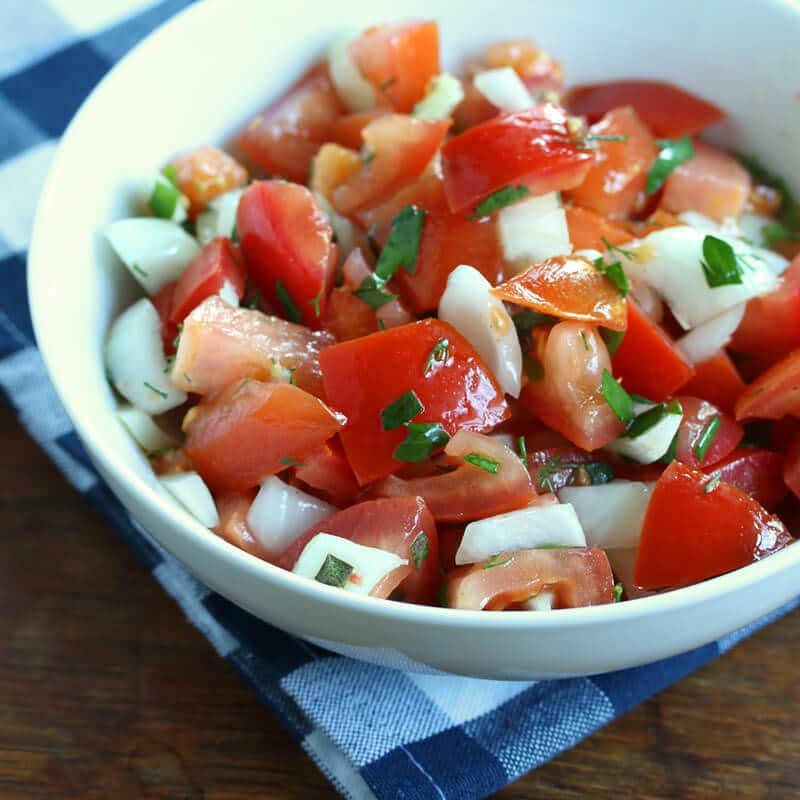 This is a simple salad but there are two vital keys to getting it right: Use fresh, vine-ripened tomatoes and use fresh herbs. Fresh herbs are an absolute must. 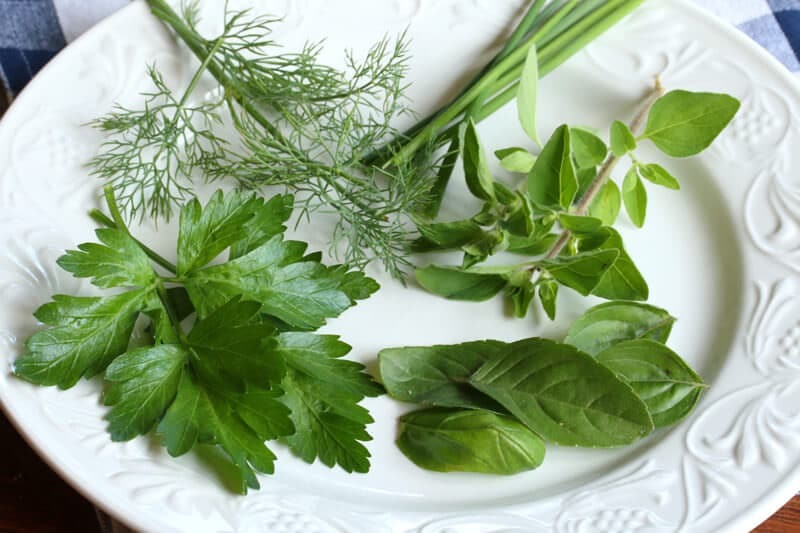 You can use a variety of fresh herbs but fresh basil is a must. In addition, fresh dill is divine. And of course who can live without parsley? 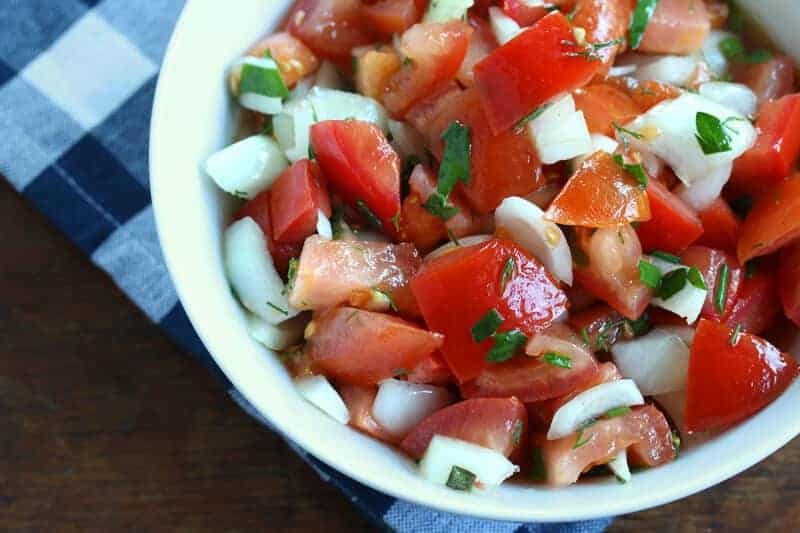 Simply chop up the tomatoes and onions. Sometimes I’ll dice them, other times cut the tomatoes into strips, whichever you prefer. Place them in a non-reactive bowl like glass and add the chopped herbs. Whisk together the vinaigrette until emulsified. Pour the vinaigrette over the salad and stir to combine. Let the salad sit in the fridge for at least one hour (or several) before serving. Enjoy as a cool Summer salad with some crusty bread or sandwiches for a light lunch or serve as a side with any meats. 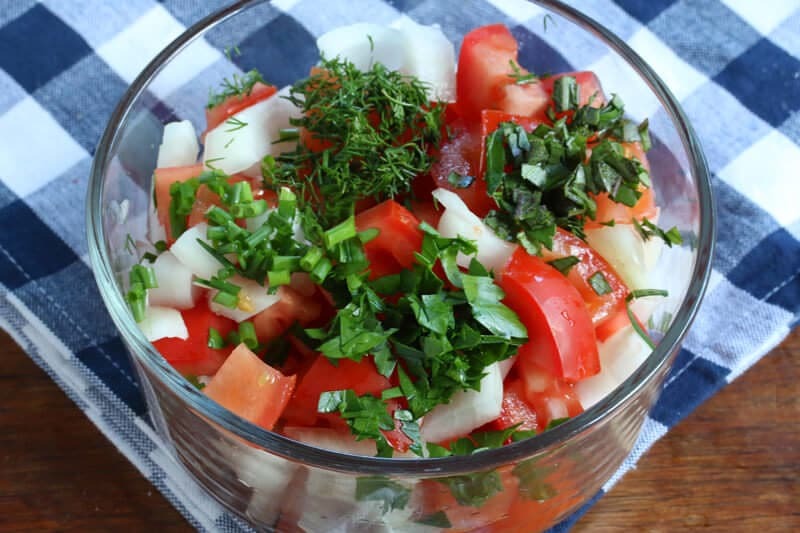 Refreshing and tasty, this tomato salad is a German classic! 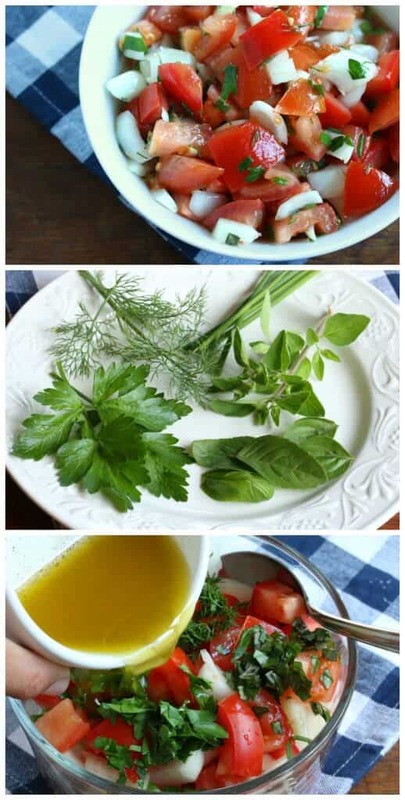 Combine the tomatoes, onions and herbs in a glass or other non-reactive bowl. 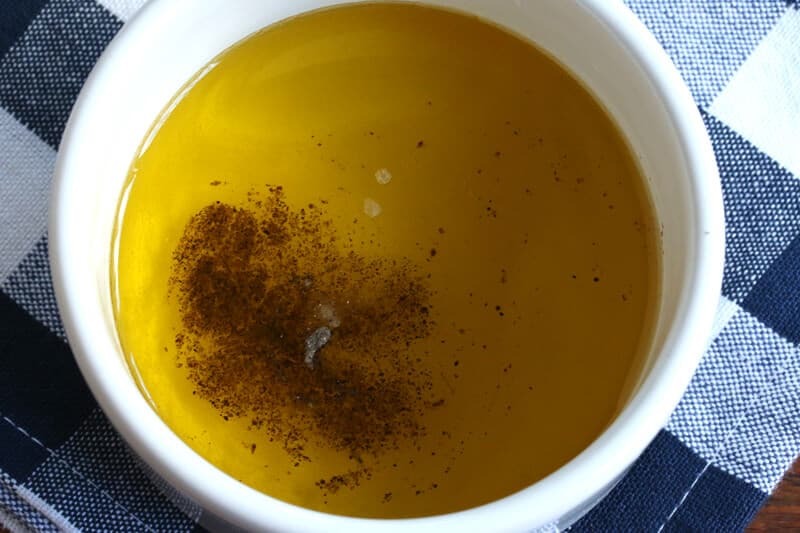 In a small bowl whisk together the vinaigrette until emulsified. Pour the vinaigrette over the tomato salad and stir to combine. Refrigerate for at least one hour (or several hours) before serving. Serve with crusty bread or sandwiches for light lunch or dinner or as a side with your choice of meats. Schmeckt lecker, danke :) Ich hab Basilikum, Dill und Petersilie verbraucht. Himmlisch. It does taste like childhood, Adina! :) There probably wasn’t a Summer that would go by that my mom wouldn’t make this salad. And yes, sunflower oil is another great option. This looks and sounds yummy, I’m going to make it using tomatoes from my garden! That’s perfect, Candace, nothing beats homegrown tomatoes! I’m not a huge tomato fan but really enjoyed this salad! The flavor was very good and my husband also gave it two thumbs up. Thank you! This sounds so delicious. I’m sure that I will enjoy. I prepare many of these on a regular basis. I grew up in Germany, then moved to the U.S. I am retired so have an enormous amount of time to cook. Love the recipes. Keep them coming. Thanks so much, Richard, I appreciate it! CAn you use dried herbs instead if fresh? You can but I strongly recommend fresh. If you do use dried be sure to let the dressing sit for a least a couple of hours to soften and release their flavors.